The Porsche GT Team is keen to extend its lead in the GTE-Pro category of the FIA World Sports Car Championship WEC. 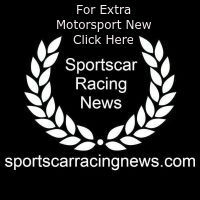 After scoring a double victory at Le Mans, as well as podium finishes at the season-opener in Spa-Francorchamps (Belgium) and Silverstone, Great Britain, Porsche now leads the manufacturers’ and drivers’ classifications. Round four of the 2018 season is contested on the Fuji Speedway in Japan on 14 October. On the tradition-steeped 4.563-kilometre racetrack at the foot of Mount Fuji, the Porsche GT Team fields two ca. 510 hp 911 RSR race cars. Four identical vehicles will be campaigned by customer teams in the GTE-Am category at the fourth race of the 2018/2019 WEC Super Season. At last year’s race in Fuji, both of the latest generation Porsche 911 RSR secured podium spots with second and third at the maiden outing at Fuji. Since the foundation of the FIA WEC in 2012, teams and drivers have travelled to Japan in autumn to take on the special challenges. In 2013, the race had to be stopped after 16 laps due to torrential rain. Changeable weather conditions are also expected this year. For engineers, the Fuji Raceway is particularly demanding. The long 1.475-kilometre start-finish straight leads into a twisty section, which requires a great deal of downforce and good traction. Finding a suitable vehicle setup in the practice sessions is equally as tricky. Richard Lietz from Austria and his works driver teammate Gianmaria Bruni from Italy share the cockpit of the No. 91 Porsche 911 RSR car. The Italian has notched up two race victories on the Fuji Speedway, with Lietz winning the debut WEC race in Japan. The cockpit of the No. 92 vehicle is shared by Frenchman Kevin Estre and Michael Christensen (Denmark). The duo leads the drivers’ classification of the 2018 WEC after winning the 24 Hours of Le Mans and claiming podium places in Belgium and Great Britain. In the manufacturers’ classification, Porsche heads to round four of the season ranking a clear first in the hotly contested GTE-Pro category. Four more Porsche 911 RSR will contest the GTE-Am class. Porsche Junior Julien Andlauer (France), Christian Ried from Germany and Porsche Young Professional Matt Campbell (Australia) compete in the #77 car fielded by the Dempsey Proton Racing customer squad. The trio travels to Japan leading the GTE-Am class after scoring class wins from Le Mans and Silverstone. Manning the No. 88 sister car is Porsche Young Professional Matteo Cairoli (Italy), his compatriot Giorgio Roda and the Japanese racing driver Satoshi Hoshino. Competing in the 911 RSR campaigned by the German Project 1 team are Porsche works driver Jörg Bergmeister (Germany), Patrick Lindsey from America and Norwegian Egidio Perfetti. The customer team Gulf Racing relies on Porsche Junior Thomas Preining from Austria. The newly crowned champion of the Porsche Carrera Cup Deutschland contests his maiden WEC race with two British racing drivers Benjamin Barker and Michael Wainwright. The Porsche 911 RSR celebrated its WEC debut at Silverstone in 2017. 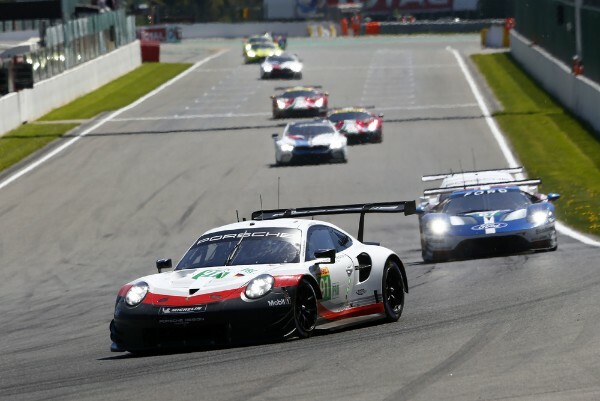 So far this season, the racer from Weissach has clinched a one-two result in the GTE-Pro class at Le Mans and secured the GTE-Am category class win at the endurance classic in France as well as at the previous race at Silverstone. The RSR with its water-cooled four-litre boxer engine is based on the seventh generation of the iconic 911 sports car and produces around 510 hp depending on the restrictor. With a total of six vehicles, the Porsche brand is represented by the largest contingent of GT racers in the World Sports Car Championship. The six-hour WEC race at Fuji gets underway on Sunday, October 14, 2018, at 4:00 hours CEST (11.00 hrs local time).